Fujitsu ScanSnap on OSX 10.6 Snow Leopard - Your Experiences? Fujitsu ScanSnap on OSX 10.6 Snow Leopard – Your Experiences? >> Fujitsu ScanSnap on OSX 10.6 Snow Leopard – Your Experiences? Update Nov 13, 2009: The Snow Leopard fix has been released. See this for more information! Since Apple’s new version of OSX – 10.6 aka Snow Leopard is released today, I thought I’d make this post so that we can share our experience using the Fujitsu ScanSnap with it. I haven’t found any indication that 10.6 is officially supported by Fujitsu yet, but I have seen mixed reviews online. Update: Fujitsu has reached out to me and also posted on Twitter via their @ScanSnapIT account the status of Snow Leopard support. For ScanSnap S300M, S500M, S510M, and S1500, scanning is supported on Snow Leopard, but Quick Menu does not work and Scan to Folder currently does not work. Fujitsu Customer Support has posted this bulletin listing the workarounds and support status. They expect it to be fixed “within 2009”. However, I also came across this ars technica forum thread saying that at least one user has had problems scanning to PDF using the ScanSnap S510M. I haven’t tried Snow Leopard myself yet and haven’t heard back from Fujitsu regarding their support for it, but have you had any experiences one way or the other with it? Leave your feedback in the comments. Update: Just came across another tweet from user @TaxMan45 saying that he chatted with Fujitsu Support and that the ScanSnap 510M is compatible with Snow Leopard, but not in Quick Menu mode. Update: There is an update from Fujitsu that the Snow Leopard fix will be ready at the end of November. I am experiencing blurry scans where the text has a shadow effect. Today, I had an interesting problem – the image scan was clear but the OCR scan was blurry. How do I fix this problem? Hi Rod, sorry for the delay in responding. What are you using to do the OCR? A separate program or the OCR built into ScanSnap Manager? 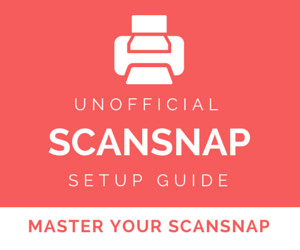 What version of ScanSnap are you using? Hi, or just get EVERNOTE to go with it – fantastic piece of software – it takes the scanned "image" PDF and converts magazines etc. into searchable text. Works flawless! Thanks for the reply. I did find, in another post, a download link to Abbyy Finereader from the Fujitsu website, can I not use this download with the 300M? Or is there another OCR software that would set me back less than the price premium of the 1500? I have a Mac running Snow Leopard and am wondering whether to get the 300M or 1500M scanner – or wait for the 1300M? 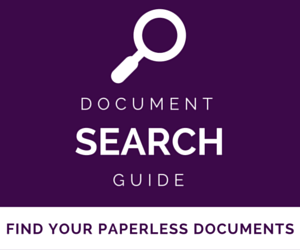 I would like to create searchable PDFs – do I need the 1500 model for this? I'm stuck. I installed the "22L11" update from the Fujitsu site because I didn't see the special Snow Leopard update. It installed but wouldn't save to file. So I went back to the site, and found the Snow Leopard update. Downloaded it, but can't install because it wants the previous version. I get the error "Cannot run the update because the target ScanSnap Manager is not installed"
I restored the 2.1 version from TimeMachine – still, no luck with the SnowLeopard installed. Any hints on getting the new update to run/install would be most appreciated. I have to say I'm terribly disappointed with Fujitsu on this one. I have the first generation ScanSnap which I've been using for close to four years now. I upgraded to Snow Leopard knowing full well that there was going to be an updater for the software. But guess what? Fujitsu doesn't support its own hardware in 4th generation. In other words, if you buy from Fujitsu and computer technology is more than 4 years old, you now have a large paperweight on your desk. They told me that they will not support my model of ScanSnap at all to work with 10.6! Really??? How bad is this for the environment alone?? My HP printer of more than 10 years works great with my computer. Harumph. @Erik, I can sympathize with how you feel about it. I can understand Fujitsu wanting to sunset support for older models like yours, though, as I'm guessing you're a minority in terms of supporting your model for the latest OS X OS. As for HP printers, I have a DeskJet that's eight years old and SL doesn't have driver support for it (Leopard did). In SL, I had to manually select a model "close" to mine and luckily it still works. What about Sharing the Fujitsu Scanner via Snow Leopard's Sharing function in System Preferences? The November update allowed us to scan to folder again (previously, we could just scan to email), but we are still unable to share this scanner on the LAN via System Preferences -> Sharing -> Scanner Sharing. Anyone know who to share this scanner? Sorry mjcmjc, this topic has come up few times and no one (to my knowledge) has figured out how to share a ScanSnap. If anyone does, let us know! Thanks, it works. I appreciate your letting us know of the update. I had gotten used to my roundabout solution. After updating, "Scan to Folder" still crashed on me, so I quit ScanSnap Manager and removed any preference files starting with "jp.co.pfu.ScanSnap. *" under ~/Library/Preferences/. This blew away my profiles, which I recreated, and now "Scan to Folder" and Quick Menu features work. I'm happy it work again, but am annoyed it took Fujitsu so long for the update, considering they knew Snow Leopard was coming for over a year. In my experience Fujitsu has always been slow to provide updated drivers and software for its ScanSnap desktop machines. Windows Vista was released to the public in January 2007, but Fujitsu didn't provide Vista drivers until June or July 2007. This meant that I couldn't use my ScanSnap for 3 or 4 months after replacing my PC with a Vista machine. In 2008 I switched to an iMac but I do like the ScanSnap so I also got a model S510M. Now we're waiting for an update to the drivers – same story, different OS, different year. BTW I've been using the ScanSnap as usual, but then I open Documents -> ScanSnap and find the latest one is saved as "untitledxxxx.pdf" where xxxx is a 4-digit number starting at 0001. Each new document is assigned the next number in the series. It's a bit less streamlined than scan to folder but once I figured out where my new pdfs were going, it's just a few clicks to open each new one, name it and save it in the right place. I made a quick video tutorial on how to set up Profiles which solves this problem. Getting a bit off topic, but how do you run a batch OCR in Acrobat? Can't work it out. I need the FineReader bit the most, and it's a real pain that the 2 components won't work together now. I just scan to PDF and it works fine. I sure wish Fujitsu would get their act together. I was going to update to Snow Leopard (today) and stumbled onto this. As a person who has championed this hardware, I am deeply disappointed that Fujitsu has not addressed the problems listed. Looking forward to the update. Until then, Snow Leopard disk sits in a drawer. I was about to buy the Scan Snap S1500 but saw the reviews on Amazon about Snow Leopard. As I have already installed Snow Leopard I am going to wait until I see that Fujitsuhas corrected this problem. After updated to Mac OS 10.6 the function scan to file doesn’ t work. This is reale a big problem to me .I think is better to inform all scansnap users to stop the migration to Snow Leopard. I just got the Scan Snap S1500M and was wondering why the Quick Menu didn't work until I read these posts and was pretty frustrated. But i think I've worked out a way to scan to file. I just create a Profile for a folder that I use a lot, and set it up so that when I scan a large number of files it goes to that folder. Then in the finder, I use Quick Look to see which file it is and rename the scans right there. I haven't tried OCR while scanning because I heard that Acrobat does batch OCR much more quickly. Not the greatest setup but it seems to be working so far. ScanSnap S510M and snow leopard upgrade. My scansnap will only scan for email and not to the designated folder. When scanning for email, it saves a copy in the designated folder, when you rename the saved file, you cannot attach that file to an email in entourage. It causes entourage to crash every time you try to attach a file created by scan snap in the file folder. The patch seems to work fine with my S300M — it replaces the .plist file in your preferences folder (~/Library/preferences). Once installed, you can go into the ScanSnap Settings and change the default application that opens the scan (from Acrobat to Preview, or whatever you like) and the location to which scans are automatically saved. I complained to Fujitsu last week, and they answered back that Apple came out with Snow Leopard two months before originally scheduled and suggested that maybe I should complain to Apple. I get it–it's someone else's fault. Still 404 on all of them. I also get the 404 error when looking for the patch. Inexcusable. Boo hiss Fujitsu. My S300M shows the same problems. Will try the patch but they were asleep at the switch. I found that I was not able to save to folder once I installed Snow Leopard. (That was not the only problem I encountered. Excel hangs the entire system up.) I think a found a way around the incompatibility problems for my S2500M. It is a little tedious but it works. I scanned the documents and then saved them in iPhoto. This puts them in my photo folder, which I do not want. I then go to my email, send myself an email with these pdf files as attachments. Once I receive and open the files in my email, I save them where I want them and delete the files in my photo folders. Not quite as easy as it was a week ago. Let's hope and encourage Fujitsu to come up with a better fix. Thanks a lot PsychDoc. This is helpful. Appreciate the help. Installed Snow Leopard and I can no longer save to folder which is discouraging as I use the Scan Snap a lot. Will try your suggestions. Also, start a pdf library in Iphoto. Open iphoto with the option button depressed. Then choose advanced options and create another library from the ensuing dialogue. Locate the file in its own folder in documents entitled pdf scans or some such term and then simply chooser the iphoto option for storing your file. 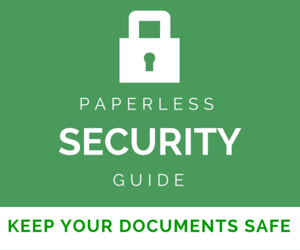 Scan to printer and save as pdf! Works great. The disadvantage is that the pages are not cropped to the exact size of the image. Hey great workaround Dave. Thanks a lot! Cripes – I also have S510M and just upgraded to Snow Leopard and am in the same boat. As the temp page for Fujitsu states I can turn the Quick Menu off and scan to Adobe but have lost the FineReader side. I contacted Abbyy and they pretty much say that it is Fujitus problem and contact them. At least Fujitsu is working on it as the scan to file option is nice and fast. I did notice that the 2 temp patches listed above are for the S5100 and the S300 so perhaps the S510m is around the corner. I scan directly to application by disabling quick start, then have the documents go to Yep. What I can't do is OCR, and I can't figure out ReadIRIS Pro 11 for the life of me. I scan a document and it appears in Acrobat. I navigate to the folder I want and do a Save As. Normally the next scan I do, the last folder is where the Save As would like to do the save, but now, the folder is the default folder where I have ScanSnap set to place the scanned documents. Could be ScanSnap, could be Acrobat. Thanks all, esp BrooksD. The patch works as advertised and automatically saves itself to the desktop (modified the snapscan manager settings). No worries, though it was readmore that uncovered the patch. I just tracked them down a bit more. The patch is for ScanSnap Manager. When finished scanning it leaves the document open in Acrobat. Then you can just OCR in Acrobat fine. Action requires knlowdgee, and now I can act! The patch works! It leaves the document open in Adobe. Just have to save it with the name you want where you want it. Awesome, way to be a pioneer (congrats on the new Mac/Scanner by the way). Bad timing! I just bought a MacPro AND SnapScan AND installed Snow Leopard on my new machine. Hey, that link didn't seem to work but it lead me to these two, so thanks a lot! They seem to point to the same file. I don't have Snow Leopard but if some brave soul wants to try them out, there you go. Unfortunately I am so new to the workflow I can't make anything work without that Quick Menu. 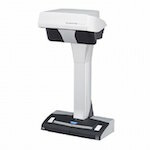 Where is the ScanSnap putting the documents I am sending through the scanner? If I get Yep or Leap, will that solve the problem of where these documents are going? Or is there a better organizer for Mac? That is pretty upsetting — other companies had their software ready on time, but Fujitsu needs up to four months!?! On a less emotional note, the lack of Quick Menu is not a big deal for me, but the absence of Scan to OCR and Scan to Folder is. I am wondering if there might be a workaround for Scan to Folder — ie. make a droplet (with Automator or Applescript) that takes the input file and copies it to a folder. Then set up a Scansnap Manager profile to scan to that droplet as its target app. Anyone with Snow Leopard want to give that a try? It isn't perfect but if you choose the scan to email, uncheck the save as a file box, and email the pdf to yourself it seems to work. When I receive the email I can then save the attached file to docs. Pain but it is a fix until they can get the update ready. You don't even have to email to yourself. Just do a scan to email, when the email message comes up with the attachment in the body of the email, just drag the attachment to the folder you would have used if "scan to folder" worked. Then close the email message and don't save it. 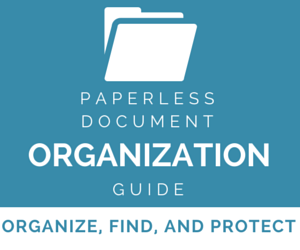 No need to clutter up your sent email folder and inbox. Wish Fujitsu had participated in the Apple Leopard Developer program. This incompatibility could have been uncovered by Fujitsu much earlier. I found this problem when I was using Snow Leopard as part of the developer program and emailed Fujitsu with the heads up about the problem. Never heard a word back from them…. Thanks a lot for the tip dwdz! I just talked to Fujitsu… This link says the current status… Basically they are working on an update for their software, but FineReader needs to update their software before it will work under Snow Leopard. This is supposed to be done by the end of the year. Awesome thanks for the comments Allan! While my scansnap does scan, the finereader application does not recognize the pdf file as having come from a scansnap and will not process it. I have the same problem. When is this fix ever going to show up? I need the OCR feature — it's a critical piece. Seems like a trivial bug to fix.